No matter how you became a parent (biological or through adoption), the journey can be tough at times. Don’t get me wrong! I love my two children, but there are some days that I find myself drained from the consistent routine of being the cook, maid, chauffeur, counselor and referee. Parenting requires mental and emotional endurance. 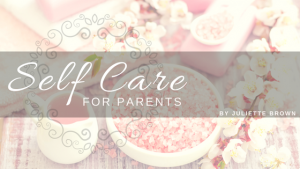 In order to stay the course, parents need to build in time for self-care. I know what you’re thinking. “How on earth am I supposed to do that?” I’m going to give you some things to consider. We’ve all heard the saying, “you can’t give to anyone else if your tank is on empty”. This also applies to parenting. As a mom, we seem to make sure that everyone else is happy and well taken care of before we care for ourselves. This does not make you a bad person; however, if this is a consistent pattern, man your battle stations for burnout. Please know that we must prioritize ourselves and our needs. I know it’s hard to do when your toddler is stuck to you like Velcro, but you must make time for yourself. Create and maintain a network of support. Carve out time in your schedule for yourself. Don’t wait for an hour to two to magically “open up” on your calendar. We all know how hectic our lives can get—church, volunteering, soccer game, swim lessons, work obligations, etc. Before we realize it, we’re heading into Saturday exhausted and irritable. The message is clear—physically schedule time for yourself. Ask your spouse or babysitter to watch the kids so that you can spend some time away. Head to the park, the movies, a great book store, the nail salon or anywhere that recharges your battery. Start with carving out just 20 minutes a day for yourself and go from there. You’ll soon see the rewards (for yourself AND your family) of how crucial “me time” can be. 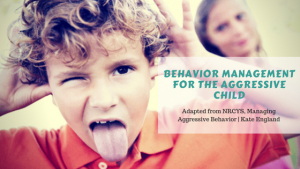 So what do you need to know in order to manage aggressive behavior? First you need to adopt a philosophy of behavior management, then provide consistency and create a predictable and therapeutic environment. It is important for the child and the family to be fully involved in planning their “system”. All aspects of the child’s “system” must be able to be understood by the child himself. Realize that all behavior is an attempt to meet a need and therefore has meaning. Relationships between the child and parent should provide opportunities for him/her to learn and practice appropriate ways to express feelings, manage daily tasks, and get needs met. Remember, children are best served by parents and families who practice teamwork. What is Blending? Blending is a concept, which uses the strengths of the family, child, and the community. Let’s have a look and get a better picture of Verbal and Non-verbal blending and become familiar with the roadblocks to these types of blending. What are some common Roadblocks to Verbal Blending? What are some common Roadblocks to Non-Verbal Blending? Let’s talk about realistic expectations. What are our expectations of our children and are they realistic? There can be a danger in having too high of expectations as well as having to low of expectations. See some of the effects of both below. Danger! What happens when my expectations are too high? Danger! What happens when my expectations are too low? Now, with all that said, let’s stick to keeping expectations realistic! How do you do this?—by understanding adolescent development and how it affects behavior, modeling through my behavior to match expectations, and adjusting my expectations to match my child as a whole. As parents, the misuse of your power can render a child powerless, feed adolescent impulse control (aggression), and aggressiveness in the child—power struggles emerge, child becomes passive or over compliant, and depending on the aggressions, resulting in them being institutionalized. Be aware of your own stress level. Analyze your own use of power. Some questions to ask when faced with a struggling child. What’s going to happen if you keep doing what you are doing? 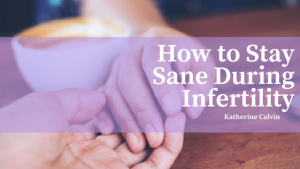 Infertility is stressful. It impacts a couple on every level; emotionally, physically, spiritually, financially, and relationally. When it feels like everyone around you has children, are talking about having children, or are pregnant, you feel alone. Normal everyday things like going to the grocery store can take courage. 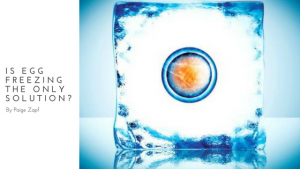 Here are three things that you can do in the midst of the storm of infertility to stay sane. Find at least one friend that you can be completely vulnerable with. A friend who will pray for you when you’re having a bad day and who will listen as you vent your anger and frustrations. A friend who will be an encourager to you when you’re deeply devastated because of another negative pregnancy test. One faithful friend is better than many acquaintances. Find something you enjoy and do it often. Whether it is having a cup of your favorite coffee, binge watching that Netflix show, or spending time outside. Find something simple that brings you joy which you can look forward to once per week. Give yourself grace. You need to do what is best for you. At times that might involve opting out of a family function, baby shower, or birthday party. Don’t feel guilty for knowing your limits. Remember, your identity comes from Christ, not in your ability to bear children. The Lord has good plans for you, lean into Him and allow Him to guide your steps. He loves you more than you know! 31 Days of Prayer During Infertility is a month’s worth of devotions, journal pages, and scripture designed to help you connect with God through prayer. Longing for Motherhood by Chelsea Patterson Sobolik. is a book to provide encouragement and hope for women facing infertility, miscarriage, or the loss of a child. All members of the adoption triad play a profound role when considering any child’s adoption story. Birth parents are an irreplaceable piece to the puzzle, no matter what type of adoption being considered. They give life to children who, for whatever the reason, they are not parenting. Birth parents making an adoption plan for their child are brave, selfless, courageous, and, most of all, intentional. When many of us think about adoption, the word “orphan” is often one of the first words that comes to our mind. In many instances and for many reasons, sweet children who are waiting to be adopted do fit under this umbrella, and God has miraculous plans for them. There are no unwanted children, and while they may be earthly orphans for a time, they have a heavenly Father who never fails to see them or choose them. However, in most instances, little ones placed for adoption by birth parents are not orphans. Birth parents do not consider their children orphans, and birth parents who hear the word “orphan” in reference to the child they place for adoption often disagree, as these strong and honorable birth parents are purposeful and intentional about making a plan for their sweet little ones. Birth parents making this decision do not take it lightly, wherever they are in their life. They not only have the courage to make the first contact with the adoption agency, but they also spend time considering the best openness plan for them and their child, the qualities they desire in an adoptive family, and the specific family who will raise, love, support, and nurture their child. The impact and magnitude of this decision is not lost on birth parents, as they search through families’ profiles books and videos and pray for their heart to point them in the direction of one family or another. No matter the amount of time a birth parent spends creating her adoption plan for her child, it is called a “plan” for a reason. Birth parents give life to little ones and choose to place them in another family’s arms, heart, and home. 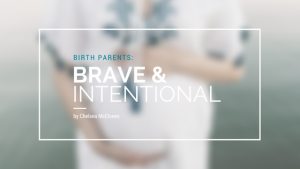 Birth parents are brave, and most importantly, they are intentional.